There has been a noticeable chill in the air as we scurry around finishing up harvest. While the fall weather has been superb, there is no denying what’s right around the corner. Silly me for thinking I could run dinner out to the field in my flip flops! I found myself thinking some not so pretty thoughts as I sunk into the soil trudging my way to the tractor; dinner in hand. Needless to say the soil felt cool and damp against my bare feet and my flip flops are in need of a good clean! As we transition into yet another season, it’s important to remember to continually strive for biological activity in your soils. No matter your particular climate, biologically alive soils can help improve growing conditions for the next growing season. 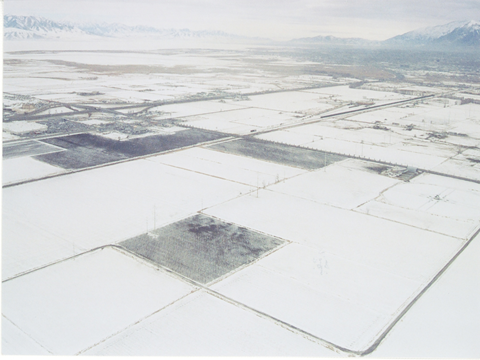 When the snow flies and the soils goes dormant, biologically alive soils will rarely go dormant. As you can see, the snow melted on some areas but not on others. It just so happens that the fields with the warmer soils have a history of wise biological management. In addition to warmer soil temperatures, increased biological activity also increases carbon storage. Plants pull this carbon from the air, and a portion of it ends up being utilized by microbes which is then ultimately sequestered in the soil in the form of increased humus and organic matter. We know that increasing carbon levels in the soil is beneficial as it leads to improved crop performance, better water and nutrient-use efficiency, and less nutrient loss through runoff and leaching. While we can’t control the climate in which we farm, it is good to understand how environmental conditions affect microbe diversity. Enhancing the biology of your soils is a win for the environment no matter how you look at it. How do you protect against loss of microbial diversity? Leave your thoughts in the comments below! P.S. As part of the International Year of Soils, we will be discussing how climate can affect your soils throughout the month of November. Join the discussion right here! Franklin D. Roosevelt knew what he was talking about when he wrote that excerpt in a letter to all State Governors regarding a Uniform Soil Conservation Law in 1937. Soils provide anchorage for plant roots, hold water long enough for plants to use it, and store nutrients that sustain life. Even though soil color differs throughout the nation, it’s still one of the world’s biggest natural filters. Soils remove contaminants through their chemical, biological, and physical properties. In other words, soils are the kidneys of all earth ecosystems. 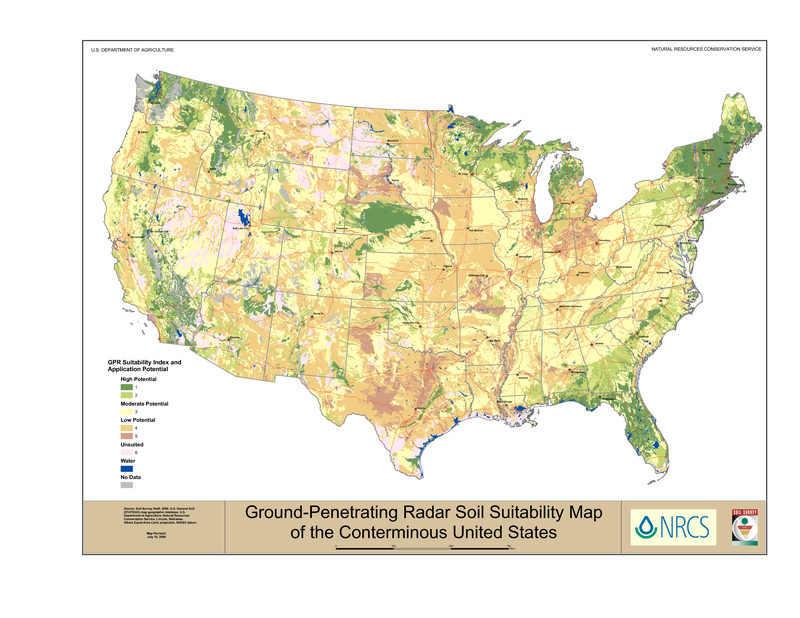 The picture below (by the NRCS) shows all the various soils in the United States. So what are you doing to improve your soils? Join us this month during the International Year of Soils as we discuss soil and the environment! As I sit down to write this morning, it’s not raining. The fields are slowly starting to dry out, and it breaks my heart to see the devastation Mother Nature has left in many of our fields. 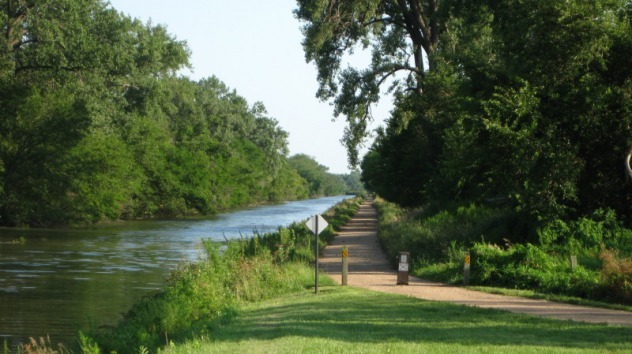 In Illinois, June was the wettest on record with an average of 9.3 inches across the state, 5.3 inches above average, as reported by FarmWeek. May also was much above average in most of the corn belt. 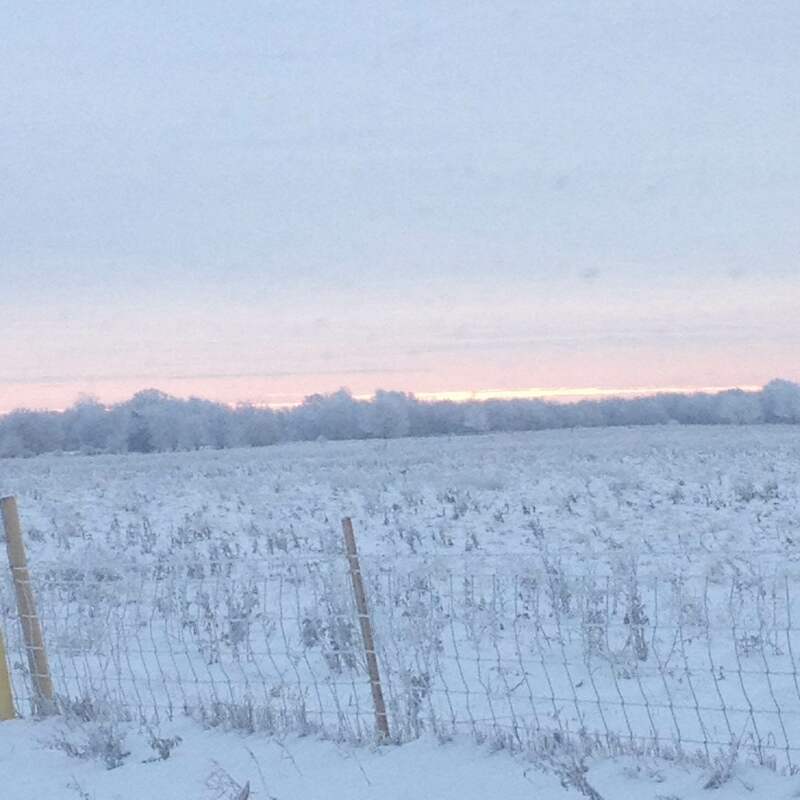 The NOAA gathers statewide precipitation ranks monthly. 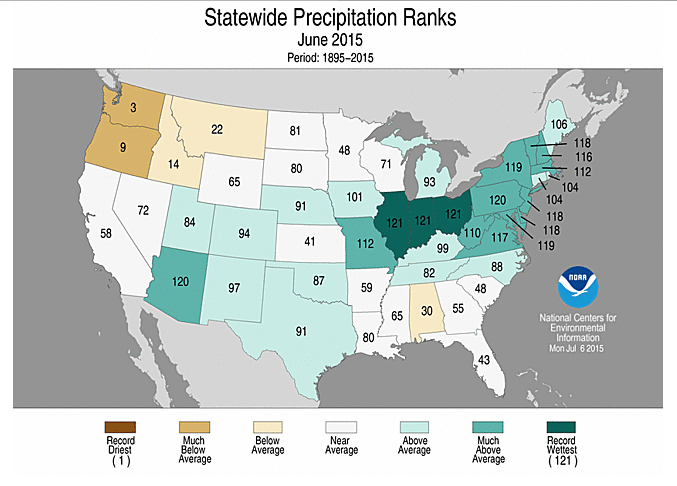 Check out your state’s precipitation levels in June. Despite how much rain you’ve seen in your area, biologically alive soil can help protect against extreme weather stresses such as drought and moisture. For over 20 years we’ve talked about “weather-proofing” your soils with biological activity. Soil tilth, that crumbly coffee ground structure that we all desire, is only formed one way – microbially. Microbes exude substances that create the “balling up”, or the aggregation, of tiny soil particles into larger water stable soil aggregates. This tilth provides weather proofing. During wet periods, water stable soil aggregates resist crusting. Crusting reduces water infiltration causing more run-off and erosion. During dry periods, soil aggregates provide an insulation over the soil. This insulation-like layer reduces evaporation and enhances capillary action (the movement of sub-surface moisture upwards into the root zone). Cover crops may also help save soil in flooded fields. For years, we’ve viewed cover crops as our ticket to healthy, biologically alive soil. 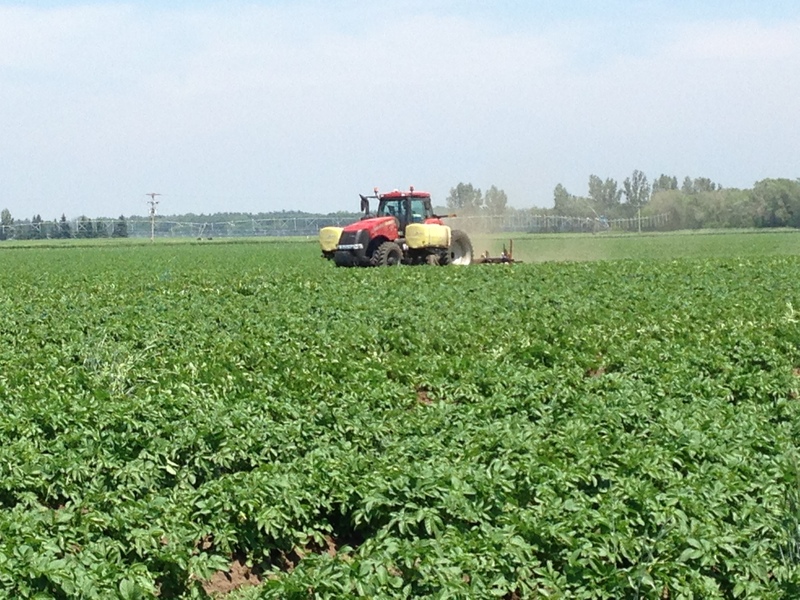 So rather than focusing on the loss of “prevented planting” acres, cover crops could help prevent further soil degradation and increase soil productivity for next year. Having something green and growing the remainder of the year is a key concept for improving soil health, decreasing nitrate leaching to drainage waters, and improving water quality. Purdue University put out an excellent article along this topic. If this is something that interests you, check out our Ground Work on a useful cover crop chart. It provides a helpful guide when choosing which cover crops to plant. Can you believe we’re officially half way through the International Year of Soils? Feels like just yesterday we were planning our content calendar with all these exciting soil posts and now we’re more than half way through..Crazy! Anyway, how ironic is it that July’s theme is “Soils are Alive?” I mean it’s been non-stop activity around here making us all feel ALIVE. Whatever your favorite summer activity is, chances are it takes place on the soil, and did you know soils support more life beneath their surface than exists above? Soil is a living, dynamic resource at the surface of the earth. It is a complex habitat of mineral and organic particles; living organisms including plant roots, microbes, and larger animals; and pores filled with air or water. So it may come as no surprise that one gram of soil contains 100 million to 1 billion bacteria, several thousand protozoa (up to several hundred thousand in forest soils), and 10 to several hundred nematodes. It has been said that a handful of soil can have more living organisms than there are people on this planet. Some organisms in the soil are large and easily seen with the unaided eye, while others have to be magnified by 1,000 times. We strongly believe in the life underneath the ground. For it’s there that lies the success of any farm operation. If you don’t have healthy, biologically alive soil, then how can you produce a quality crop? And with that enjoy this video of active, healthy soil, submitted by one of our agronomists (excuse the wind in the background, apparently that was pretty active that day too). How about the size of those earthworms!? Believe it or not, but this field hasn’t always been this alive. It wasn’t until the farmer installed some drainage tiles and worked with us on a fertility program that the soil began to change. The microbes and biology you see now are a result of a successful tiling job and fertility program. 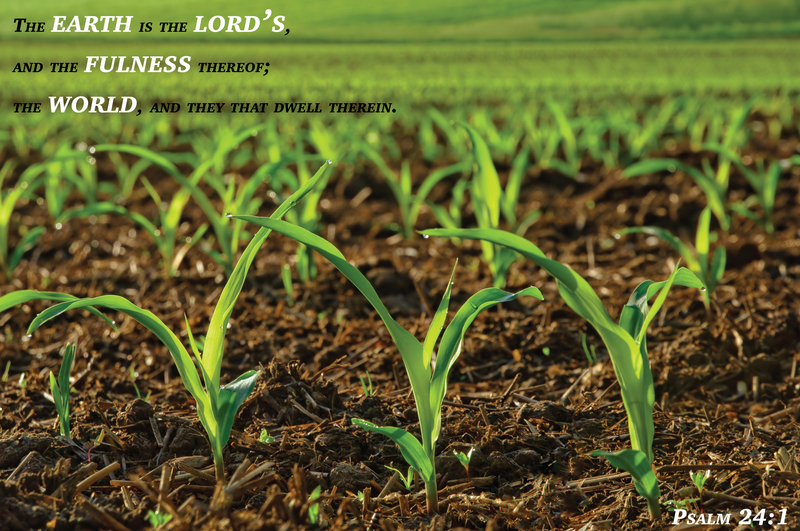 Join the discussion this month as we proclaim how #soilsarealive! It may come as no surprise to many of you that my morning commute is filled with twists and turns on several of Bureau County’s finest backroads. While I thoroughly enjoy having most of the road to myself, except for the occasional tractor, sprayer, combine pending the season, it usually is a lovely drive. Over time, my morning commute has turned into a bumpy one as I’ve witnessed the road freeze, thaw, freeze, thaw, until finally it just splits. As a result, the potholes are incredible. Now I find myself dodging said potholes, which is largely due to the shrinking and swelling of the soil. Soils play an important role in construction. Join us this month as we explore just how critical soil’s role is in construction of buildings and roads. Engineers and soil scientists measure soil strength to determine how easily it changes shape or shifts to decipher if it will bear the weight of structures. We build on soil, as well as in it and with it. It provides the support for the physical foundations of houses, factories, roads, railways, and other buildings. Just as soil scientists use tests to analyze which nutrients the soil is lacking, engineers also require a special knowledge for soil used on building sites. Because soils vary in their texture, properties, and behavior from place to place, it is essential to have a good understanding of the soils where buildings are to be constructed. When not constructed properly, here a few examples of what has happened in the past and what could happen again if we do not fully understand soil’s role in construction. 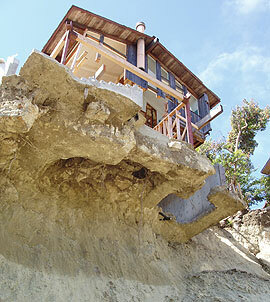 The Laguna Beach Landslide of June 2005 was due to extremely heavy winter rainfall that had soaked the soil and raised groundwater, destabilizing the slope of Bluebird Canyon. This home was undermined and eleven homes were destroyed. Photo credit: Pamela Irvine/California Geological Survey. The Teton Dam Failure of June 1976 resulted when the dam burst when the water was 270 feet deep during the first filling of the reservoir. It drained in less than 6 hours, setting off more than 200 landslides in the canyon below, taking eleven lives, and causing millions of dollars of property damage. 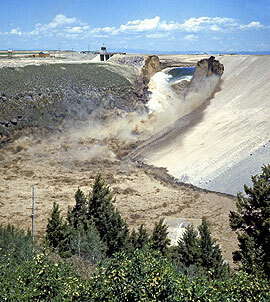 Photo credit: U.S. Bureau of Reclamation. Be sure to follow along this month as we dig deeper into what soil means in construction. April showers bring May flowers. While we know that water is essential for all living organisms, we often overlook soils role in our water supply. As part of the International Year of Soils campaign, we will dive deeper into the water of the soil throughout the month. Healthy soil normally filters and cleans water, while water that drains through contaminated soil could be contaminated prior to ever arriving in lakes and streams. The effect of soil on our water supply is just one reason why healthy soil is so important. So what’s the big deal? How are healthy soils critical to water supply? It helps purify the water and air we all consume. Pollutants such as toxins, viruses, manufacturing oils, and bacteria enter the water system every day. The soil in forests, in wetlands, and along rivers prevents many of these potentially harmful substances from entering the drinkable water supply. In the United States, soils treat wastewater for about 25 percent of the population in rural, suburban, and urban areas. Soil is the largest single wastewater treatment plant. Learn how soils clean water through physical, chemical, and biological systems in the video below, presented by the Soil Science Society of America. It’s quite the process. What are you doing to keep our soils healthy? Let us help you come up with a plan to get your soils thriving again.